You are getting 4 books in one. NEW UPDATE: OVER 100 JOKES ADDED. 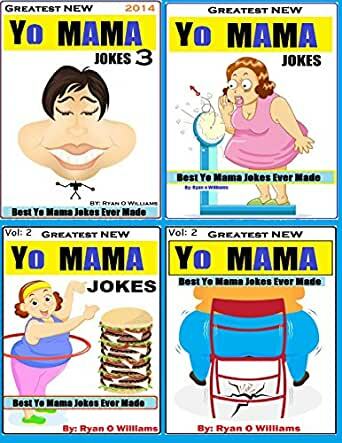 A collection of the best Yo Mama jokes ever made. Please take some time out of your busy day read this e book. 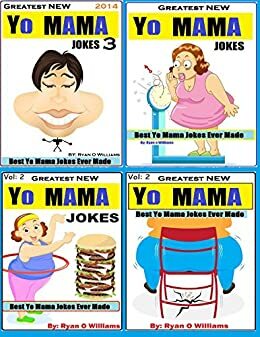 New and Fresh Yo mama/ Yo momma jokes. Yo Mama is so ugly, she won the worlds ugliest dog competition,Got a first place ribbon in special breeds. Yo Mama’s Smells so Bad , that the US government locked her up for having a Weapon of Mass Destruction. Yo mama is so dumb she thought, tofu was a Chinese martial art. I truly like this book it has aton of new yo mama jokes that i tell to my familia y nosotros tenemos fracioso with it.